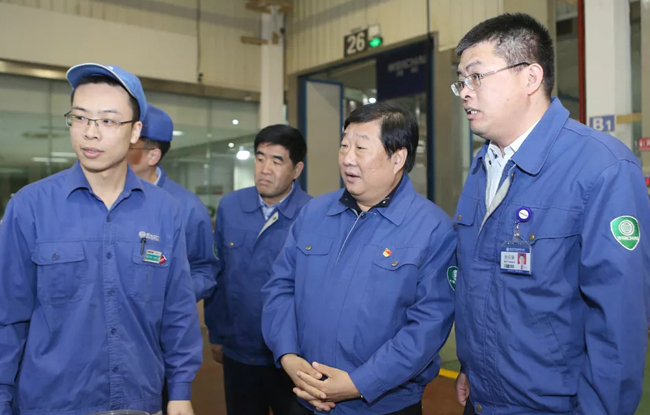 At 18:30 in the evening of March 16, Chairman Tan Xuguang, who just returned to Weifang from the Two Sessions, made a special trip to the No. 1 factory, No. 2 factory, No. 3 factory, and Logistics Company to visit the night shift employees who were at the production line. In the No. 1 factory, Wang Shujun, the “Big Country Craftsman”, reported on the progress of the technician workstation project. 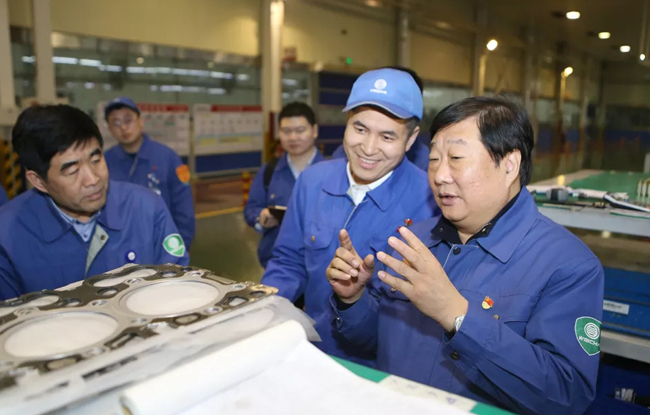 Tan Xuguang fully affirmed that this title won praises for Weichai and he hopes that everyone will continue to work hard and make better achievements. In the No. 2 factory, the No. 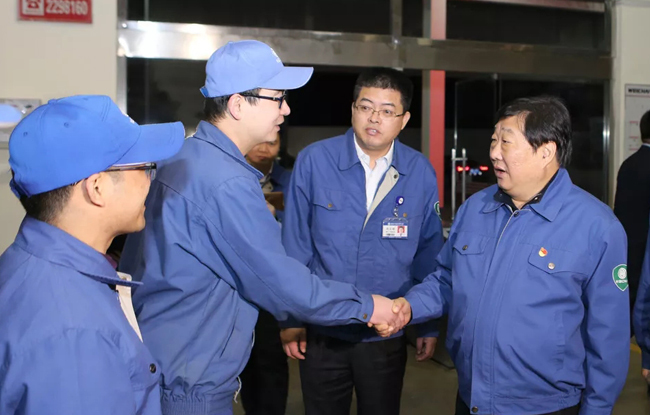 3 factory, and the Logistics Company, Tan Xuguang asked about the night shift production status in detail and praised the employees. Tan Xuguang asked management at all levels to care for the employees and offer the employees a comfortable work enviorment. 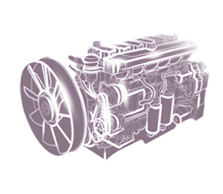 In 2019, Weichai engines were in short supply and at a continuous high production volume. 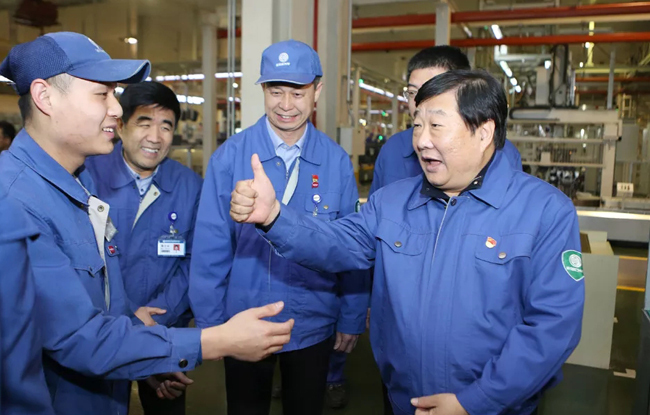 During the Spring Festival, employees also made full efforts to secure orders fulfilled. In March, Weichai will achieve a monthly production and sales of 100,000 units, a record level. The staff continued to fight and Tan Xuguang was deeply touched. "A great job from all of us!"